Our wooden venetian blinds come in a range of wood, colour and high gloss finishes to suit all tastes. Our wooden venetian blinds are also available in slat widths including 25mm, 35mm, 50mm and 63mm. Our wooden venetian blinds can be customised with options including wooden and metal control toggles in a veriety of styles and fabric ladder webbs available in various colours to complement your blind. 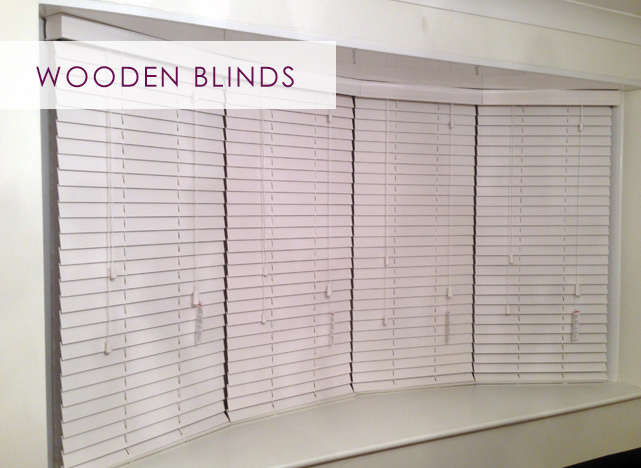 Our wooden venetian blinds are manufactured using real wood providing genuine high quality blinds. They are manufactured using high quality components to ensure they work as good as they look.